Old styled bazz guitar riffs from 0.12 onwards along with Honey Singh’s rap until 0.26 build up the song. Underlying beats are full on Retro style rhythmic. A wicked mysterious groovy tune plays from 0.27 to 0.41 along with Himesh’s off-da-hook energetic croons HAAH HAAH. Himesh’s line, AAJ RAAT JOH BHI, HOTA HAI HO JAANE DO from 0.48 to 0.53 is sung with arrogant feel vocals, as if all mayhem n all hell breaks loose on the nite. Palak Muchhal sings the mukhda lines with naughty feel good vocals. Her vocals from 0.56 to 1.11 without Himesh’s off-da-hook energetic croons HAAH HAAH are the ‘build up’ part. Best part of song is from 1.30 to 1.45, with Palak’s mukhda line with Himesh’s off-da-hook energetic croons HAAH HAAH from 1.36 to 1.37 & 1.43 to 1.45 gives kick n josh, whereby the song rolls on in full steam. Himesh’s energetic croons HAAH HAAH throughout the mukhda get the listener into the zone and makes them feel it, are the USP of the mukhda lines. Without these croons, the mukhda could lose its desired impact n fall flat, in terms of giving the listener josh n jazba, as after Palak's build up lines, they give the kill effect second time around. Himesh’s arrogant feel croon, PE PE PE PE from 2.18 to 2.24 as if all mayhem n all hell breaks loose on the nite. The composition pattern from 2.27 to 3.03 has a déjà-vu feel of old era and is sung by Himesh in the mode of yesteryear singers [and also in his LOVE U UNCONDITIONALLY SONIYE mode]. Himesh’s line, HUM DONO MILKE BANAADE from 2.38 to 2.40 and DIL BESABAR HO RAHA HAI from 3.00 to 3.04 is similar to line JOH ABHI ANKAHEE from 2.09 to 2.13 and JOH MUJHE KEH RAHI HAI from 2.28 to 2.32 in LOVE U UNCONDITIONALLY SONIYE from AHISTA AHISTA. Palak’s lines, AANKHON MEIN TU NEENDON MEIN TU KHWABON MEIN TU HAAN (quick naughty croons) from 3.03 to 3.06 get to the listener in terms of showing the naughtiness of the heroine [yeh lines dimag kharaab karti hain]. Grand thunder effect in unplugged mode at 4.17 kick starts the stanza. The composition pattern from 4.17 to 4.53 has a déjà-vu feel of older era and is sung by Himesh in the mode of yesteryear singers [and also in his LOVE U UNCONDITIONALLY SONIYE mode]. Himesh’s line, YEH DIL KISI KI NA MAANE from 4.27 to 4.31 and TU BAS MOHABBAT KIYEGA from 4.49 to 4.35 is similar to line JOH ABHI ANKAHEE from 2.09 to 2.13 and JOH MUJHE KEH RAHI HAI from 2.28 to 2.32 in LOVE U UNCONDITIONALLY SONIYE from AHISTA AHISTA. Palak’s lines BAATON MEIN TU RAAHON MEIN TU YAADON MEIN TU HAAN (quick naughty croons) from 4.53 to 4.56 are naughty and gets to the listener in terms of showing the naughtiness of the heroine [yeh lines dimag kharaab karti hain]. 1. Himesh’s singing style in yesteryear mode. 2. Palak Mucchal’s naughty feel vocals. 3. Underlying full on retro beat. 4. Grand ‘band baaja baaraat’ fanfare trumpets. 5. Off-da-hook Kabeela styled raw drum / Bongos pattern in between 2nd stanza. The song has a ‘ghazal’ touch and a free flowing pattern to it. Mohd Irfan gets into Arijit Singh’s singing mode with nasheela suroor passionate feel vocals. Underlying laidback rhythmic beat kicks in from 0.58 onwards. The mukhda has a well structured free flowing composition pattern. Mohd Irfan’s lines, TERE BINA (profound Sufi Rwak twist) NA AAYE SUKOON (profound Sufi Rwak twist) NA AAYE KARAAR (profound Sufi Rwak twist) from 1.41 to 1.48 is the best melody in the mukhda. Mohd Irfan’s line, ISHQ ADHURA DUNIYA ADHURI, KHWAHISH MERI KARDO NA POORI from 2.31 to 2.41 has traces of Himesh’s pre ABA compositional style. Mohd Irfan’s lines from 2.42 to 2.52 have a free flowing descending pattern. Mohd Irfan’s line, BAAKI NAHI KUCH PAR DIL NA MAANE, DIL KI BAATEIN DIL HI JAANE from 3.43 to 3.53 has traces of Himesh’s pre ABA compositional style. Mohd Irfan’s lines from 3.54 to 4.05 have a free flowing descending pattern. 1. Mohd Irfan’s nasheela suroor passionate feel vocals with ghehraayi. 2. Underlying rhythmic laidback beat. 3. The combo of likeable piano theme piece and warm strings. 4. Feel good mouth organ / harmonica piece. Zoya Afroz looks very innocent with her facial expressions and her large tucked up bun. The locations, the chemistry and poses of Himesh and Zoya remind of the music video of Tera Mera Milna from AKS – The Moviee. Himesh comes up with his own interpretation and version of the original yesteryear tune Hai Apna Dil Toh Aawara, and gives it a contemporary fusion treatment in a Jazzy setting. The groovy whistle theme piece in unplugged mode from start to 0.16 take the listener down memory lane. Lovely warm piano keys interlude joins in from 0.09 onwards. Underlying laid back Jazz beat consists of repetitive finger snaps. Himesh sings in happy mood with subtle/sooth feel vocals. His singing is likely to strike an impression amongst haters who blame his high pitched voice getting on their nerves, as he shows yet another facet. Between mukhda & 1st stanza, Honey Singh is back with his seductive feel Rap, with the nasheela suroor after someone has had a few glasses of wine. Himesh enjoys his happy mood singing with pleasant feel good vocals, on a simple well structured free flowing composition pattern. One can imagine Himesh smiling whilst singing his lines to get that desired feeling. The Nazal Twang is completely missing here. Himesh’s line, HAI APNA DIL TOH AAWARA (awesome sooth feel vocals) in unplugged mode at end is a pleasant treat. 1. Himesh’s pleasant subtle feel good vocals. 2. Honey Singh’s nasheela suroor passionate feel vocal rap. 3. Underlying laidback jazz beat with finger snaps. 4. Groovy whistle theme piece and feel food old styled guitar riffs. 6. Off-da-hook quick raw drum hits in unplugged mode in stanzas. The overall ambience is that of a late nite opera setting in the 60’s. It is a unique place to be in and hang out, coz it’s a rarity to find such places in today’s era. The racy rhythmic beat that runs in a fast lane kicks in from 0.32 onwards. The composition pattern is fast paced to match up the underlying pacy beat. Best lines of song are mukhda lines, DIL MEIN CHUPAAYA NA KISI KOH JOH BATAAYA AB NAZARON SE HONE LAGA WHO XPOSE, AE HOTON PE NA AAYA KABHI SAMAJH NA PAAYA NA KOI RAAZ WHO DHADKTHA HAI HAR ROZ. Quick trumpet hits from 1.25 to 1.26 give good intermittent effect. The grandeur orchestration is on a spinning roll from 1.26 to 1.31 with the raw drum hits and grand funky fanfare trumpet. Composition pattern is simple and matches the beat’s tempo. Quick trumpet hits from 2.40 to 2.41 give good intermittent effect, followed by grandeur orchestration on a spinning roll from 2.41 to 2.46 with the raw drum hits and grand funky fanfare trumpet. Quick trumpet hits from 4.28 to 4.29 give good intermittent effect, followed by grandeur orchestration on a spinning roll from 4.29 to 4.34 with the raw drum hits and grand funky fanfare trumpet. 1. Ensemble of all male and female singers. 2. Underlying racy rhythmic beat. 3. Grandeur orchestration comprising of grant fan fare trumpets and raw drum hits. The Sufi Rwak era is back. Himesh’s sharp Knife Edge Sufi Rwak vocals are back. Basically the good old Himesh is back in this song doing what he does best. The song begins with a Middle Eastern tune piece and light 'feet on toes' haunt feel keys in unplugged mode until 0.20, followed by groovy flute piece and constant background piano keys from 0.22 onwards. The song’s tempo is quite slow and it takes its own sweet time in getting the things going. The underlying laidback beat comprising of subtle ‘foot taps’ kicks in from 0.34 onwards. The constant underlying Piano keys throughout the song give a great scale. The Sufi Rwak composition pattern of mukhda is free flowing and its melody slowly n surely keeps on getting heavier upon the listener. Himesh sings with off-da-hook heartfelt vocals that konnekt. Himesh’s line, SAANSON MEIN TUJHE BASAAYA HAI, TERA SUROOR DIL PE CHAAYA HAI from 0.56 to 1.06 & 1.28 to 1.39 which has lot of pain, tadap, kashish n ehsaas is capable of leaving the listener gutted, heavy hearted and melt them away [sunke jaise dil pighal jaaye]. The composition pattern of stanzas is free flowing and its melody slowly n surely keeps on getting heavier upon the listener. Between mukhda & 1st stanza, feel good Arabic guitar riffs from 1.51 to 2.01 followed by the Middle piece from 2.01 to 2.24 that reminds of the Middle Eastern piece in between 2nd stanza gap of Tujhe Dekh Ke Armaan Jaage from Kajraare, in terms of the instrument (not the tune). Shalmali’s voice lifts the song to higher levels, she is the perfectly apt choice and strikes a major impression. What a super selection n fine discovery. Awesome intermittent 3 key background tune makes her lines more effective. The descending composition pattern of Himesh’s lines from 2.47 to 2.57 is vintage Sufi Rwak and his singing konnekts, capable of leaving the listener gutted, heavy hearted and melt them away [sunke jaise dil pighal jaaye]. Between 1st & 2nd stanza, quick Middle Eastern tune from 3.20 to 3.31 is followed by mysterious wicked Middle Eastern tune piece from 3.31 to 3.52 followed by feel good croons by Honey Singh from 3.53 to 4.16 that have a feel good jibe. It is better than 1st stanza. The descending composition pattern of Himesh’s lines from 4.38 to 4.48 is vintage Sufi Rwak, and his singing konnekts, capable of leaving the listener gutted, heavy hearted and melt them away [sunke jaise dil pighal jaaye]. The underlying ‘foot taps’ beat and groovy flute theme piece gradually fade away towards the end. 1. Himesh’s sharp knife edge heartfelt Sufi Rwak vocals. 2. Shalmali Kholgade’s melodious passionate feel vocals. 3. Underlying laidback ‘foot taps’ beat, groovy flute theme piece, Middle Eastern tune pieces. 4. Constant underlying Piano keys throughout the song that give a great scale. 5. Honey Singh’s feel good croons with a feel good jibe. Song begins with vibrant metallic guitar theme piece riffs in unplugged mode until 0.13, with off-da-hook resonance at 0.01 & 0.08 that remind of the beginning of SHAAM HO CHALI from RADIO, and AAYA RE AAYA BODYGUARD (not the tune, but the metallic guitar used). The underlying laidback beat which has a mystic ‘Ice Break’ hit pattern kicks in from 0.13 onwards. The composition pattern of mukhda has likeable free flowing pattern. Likeable intermittent guitar strumming from 0.13 to 0.27 & 0.34 to 0.40 builds up the song. Ankit’s line, MAYA HAI (off-da-hook sudden desperation plea high pitched vocals) from 0.48 to 0.49 is similar to the line, BE (off-da-hook sudden desperation plea high pitched vocals) KARAAR at 1.30 in YAHI HOTA HAI PYAAR from NAMASTEY LONDON. The composition pattern is well structured and free flowing, and sung with awesome desperation feel vocals. Likeable 1 Piano key at 2.25 in unplugged mode. Ankit’s line, SONE KE HAI BAADAL PATHRON KI HAI BAARISH from 2.26 to 2.33 strikes a chord, also courtesy of the lyrics. Likeable 1 Piano key at 3.58 in unplugged mode. Ankit’s line, DHOOP KI HAWAYEIN KAANTON KE BAGICHE from 3.59 to 4.05 strikes a chord, also courtesy of the lyrics. 1. Ankit Tiwary’s heartfelt vocals and his soulful alaap that blows away the listener. 2. Underlying laidback beat with mystic Ice Break hit pattern, metallic guitar theme piece riffs with off-da-hook resonance and likeable feel good guitar riffs. 3. Great use of underlying piano keys that give great scale. Neeti Mohan sings with style, flair and attitude in unplugged mode from start to 0.16 on a composition pattern that resembles that of the style of Imran Khan [of Woofer, Superstar fame]. The Wicked rhythmic beat kicks in from 0.17 onwards along with intermittent distorted ambient phone line tone in between 0.26 & 0.40, with likeable haunt feel piano keys from 0.31 to 0.35 in between. The way Neeti repetitively spells Xpose from 0.43 to 0.59 and says the Title word after that is interesting, along with gradually accelerating surreal instruments and outer world loud croons and whispers which build up the song. The Wicked rhythmic beat kicks in from 1.00 onwards along with a repetitive wicked peppy high pitched electro tune and repetitive CULT rebel female chants WHAT, that drive the listener crazy cracker nuts insane [dimag kharaab karte hain]. Between mukhda & 1st stanza, distorted ambient phone line tone in between 2.07 & 2.20 with likeable haunt feel piano keys from 2.12 to 2.16 in between. Neeti’s repetitive croons and spells of the line, Xpose from 2.23 to 2.41, along with gradually accelerating surreal instruments and outer world loud croons and whispers is the buildup part. The song picks up and is in Rwakin full flow from 2.41 to 2.58 with Neeti’s vocals with style, flair and attitude along with the wicked rhythmic beat along with a repetitive wicked peppy high pitched tune. The impact of Mohd Irfan's vocals is not that great in this version, especially in mukhda lines. Max impact of his vocals is in the Remix version where tempo of his vocals is beefed up. If the original version was a Ghazal affair, then the reprise version is given more of a classical touch, courtesy due to arrangements and singing style. The song begins in unplugged mode with guitar strumming with distortion. The beat pattern reminds of the beat pattern of HUM TUM TRAIN KI PATRION from DAMADAMM (in terms of the laidback hits) and ISHQ MEIN DIL KO from BANARAS (in terms of the quick repetitive matka hits). Rekha Bhartwaj sings in her trademark singing style and this version is tailor made for her. Stanzas have the quick subtle tabla hit pattern used in stanza portions of DAMAADJI from RADIO. Mesmerizing high note Piano key hit at 1.04, 2.18, 2.41, 3.38 & 4.01 in unplugged mode. Great use of intermittent Piano keys throughout the song. Free flowing beat with vibrant peppy Electro House tune kicks in from 0.50 onwards. Good build up in between 1st stanza gap from 1.38 to 1.46 with gradually accelerating beats. Best part of remix is in between 2nd stanza gap, with the gradual buildup part from 3.06 to 3.35 with loud whoosh effect and accelerating beats along with female vocals and croons with repetitive echo effect, followed by full on from 3.36 to 3.48 with underlying beat and Honey Singh’s rap whereby remix is in full flow. Remix ends with tunnel sound echo effect. Remix version is better than the original because of the underlying beats and fast tempo which gets listener into the groove. The underlying Calypso beat from 0.30 onwards has good dose of bazz and likeable repetitive piano hit pattern. The remix ends with a loud fading whoosh effect as if a turbine has been shut down. Now this one calls for a full fledged Retro style party in its truest sense. The Jazz song is further Jazzed and beefed up with additional Waltz beats and all sorts of Retro guitars like the Flanger, Tremolo, Rotary guitar. The song signs off with a flair with hard drum hits. The song sounds so authentic to the 60’s that it appears that it is actually an ‘old record’ of that era. It is hard and rare (if not impossible) to find and/or recreate such ‘records’ that were recorded in today’s days. After a dark sad undertone in the original with slow tempo, the Arabic mix brightens and lightens up the peppy mood, and makes things more lively n upbeat with an increase in tempo. The remix builds up with Honey Singh’s feel good vocals in unplugged mode. Off-da-hook quick raw foot taps from 0.20 to 0.28 in semi plugged mode. Off-da-hook beat effect that kicks in from 0.29 onwards is a mixture of underlying beat pattern of SONIYE JE TERE from KARZZZZ (the first hit) and KAJRAARE TITLE TRAX (that spins in an off-da-hook repetitive loop), and makes the listener sway to its groove. Constant vibrant electric keys give great background pulse to the song. The Caribbean / Latino vocals from 0.29 to 0.39 are all about having a fun party time. Their line, UUUU (with mega emphasis) at 1.17 are lol and make the listener smile / laugh. Off-da-hook quick raw Arabian drum hits at 0.48 & 0.57 give great intermittent effect. Between mukhda & 1st stanza, the Caribbean / Latino vocals from 1.08 to 1.26 that are all about having a fun party time get the listener swaying along with the beat. Underlying beat, underlying vibrant electric tune and Shalmali’s vocals get the listener swaying to the groove. Off-da-hook quick raw Arabian drum hits at 1.55, 2.05 & 2.14 give great intermittent effect. Between 1st & 2nd stanza, grand feel good Latino style trumpet plays from 2.16 to 2.35 whereby the listener can visualize Latino / Middle Eastern dancers swaying their long dresses around from side to side in a rhythmix manner. Underlying beat, underlying vibrant electric tune and Shalmali’s vocals get the listener swaying to the groove [even more than the 1st stanza]. Off-da-hook quick raw Arabian drum hits at 3.22, 3.32 & 3.52 give great intermittent effect. The remix has a foot tapping groove and makes the listener sway with it. Wicked Bazuka horn at 0.15 & 0.36 that is used during election campaigns. Aggressive charged up male croons from 0.25 to 0.36 that try to get the crowd going. Underlying beat has a hard hit pattern. After a Late Nite Jazzy Opera affair in the original version, the Desi mix takes an unexpected unconventional U Turn with mast Desi Ishtyle Tapori with heavy thump effect beats for a bindass outing. Mast South styled tapori beat effect from 0.07 to 0.14 along with Honey Singh’s feel good rap, followed by joined in by a likeable peppy tune from 0.30 to 0.43 in semi plugged mode that builds up the remix. The unplugged part from 1.07 to 1.10 & 1.25 to 1.29, 2.15 to 2.17 & 3.44 to 3.47 followed by gradually accelerating drum roll beats is nice. This version could be played for Dandiya and Garba during Navratri festival. The extended intermittent use of catchy killer soulful theme croons WOOOO where Ankit pours out his heart, works big time and gets to the listener. Awesome build up at start until 0.14 with soulful theme croons and off-da-hook quick catchy computerized female adlip echos, followed by gradually accelerating hits. Thumping beat effect and catchy upbeat tune from 0.15 to 0.27 get listener into da zone. Off-da-hook extended whoosh effect gradually fades away from 0.50 to 0.58, 0.59 to 1.01 & 1.23 to 1.27 gives a Surreal out of the world effect. Ankit’s croon, WOOO-OO-OO-OO-OO (repetitive catchy echo effect) from 0.31 to 0.35 & 3.02 to 3.06 gets to the listener big time. Rwakin Calypso beats join in from 1.13 onwards and make the listener feel it and sway to it. Between mukhda & 1st stanza, soulful theme croons, catchy upbeat tune and underlying beat from 1.37 to 1.51 get to the listener. Rwakin Calypso beats join in from 2.06 onwards and make the listener feel it and sway to it. Fast hits from 2.19 to 2.22 give kick. Off-da-hook gradual build up in unplugged mode from 2.20 to 2.27 followed by gradually accelerating hits from 2.28 to 2.32 followed by full on beats from 2.32 to 2.33 gives kick. Between 1st & 2nd stanza, proceedings become Rwakin with off-da-hook quick catchy computerized female adlip echos and catchy upbeat tune with gradually accelerating hits from 2.52 to 3.00 followed by catchy killer soulful theme croons, catchy upbeat tune and underlying beat from 3.00 to 3.13 that get to the listener. Fast hits from 3.19 to 3.21 give kick. Rwakin Calypso beats join in from 3.28 onwards and make the listener feel it and sway to it. The constant upbeat tune piece throughout the remix gives an overall catchier scale to the vocals. The accompanying tune makes the vocals even more catchier. Ankit's vocals and underling beat just Rwaks it. Basically, the fast tempo of his vocals has an enhanced impact and this along with Rwakin Calpyso beat works big time. This remix has a feel of NAINA RE REMIX (DANGEROUS ISHHQ) and AFREEN REMIX (RED - THE DARK SIDE). Great build up from 0.15 to 0.34 with repetitive whoosh effect and gradually accelerating beats on Honey Singh’s feel good vocals. The foot tapping beat with Electro [Fifth Dancer] tune kick in from 0.34 onwards. Off-da-hook accelerating beats from 0.56 to 1.03 for intermittent build up. Listener gets into da zone from 1.03 onwards. Best part is Himesh’s off-da-hook catchy repetitive echo lines from 1.56 to 2.02 in 1st stanza and 3.05 to 3.11 in 2nd stanza that strike a chord, thanks to the repetitive echo effect, especially in his line, VEERANIYON SE MUJHKO NIKAALA in 1st stanza that konnekts. Loud waterfall sprinkle effect after his stanza lines. Irfan Khan’s dialogue interlude along with likeable haunt feel Piano keys from start to 0.17 & 1.38 to 2.12 is kind of an ‘audio trailer’ in terms of the key phrases from the narrative. Neeti Mohan sings with style, flair and attitude from 0.18 to 0.35 on a composition pattern that resembles that of the style of Imran Khan [of Woofer n Superstar fame]. The Wicked rhythmic beat kicks in from 0.36 onwards along with intermittent distorted ambient phone line tone in between 0.45 & 0.58, with likeable haunt feel piano keys from 0.49 to 0.54 in between. The way Neeti repetitively spells Xpose from 1.01 to 1.18 & 2.15 to 2.32 and says the Title word after that is interesting, along with gradually accelerating surreal instruments and outer world loud croons and whispers which build up the song. Off-da-hook loud cult computerized Alien-ish male croons from 1.18 to 1.19 and at the end. The Wicked rhythmic beat kicks in from 1.19 to 1.37 along with a repetitive wicked peppy high pitched electro tune and repetitive CULT rebel female chants WHAT, that drive the listener crazy cracker nuts insane [dimag kharaab karte hain]. Neeti Mohan’s croons give that required mysterious feel element to this theme, which could be played in key suspense moments in the narrative. Having a Mashup in an album has become a trend these days as it can be used as a promotional prop, and same is the case with The Xpose Mashup. Himesh's vocals from 1.12 to 1.23 & 2.27 to 2.43 have been shifted to a higher octave and sound Alien-ish. Wicked bazz sound followed by off-da-hook beat effect from 1.24 to 1.27 in unplugged mode. It is a masterpiece by Himesh – the Sufi Rwak composer and Himesh – the Sufi Rwak singer. The song has a ‘dark’ shade and ‘sad’ undertone to it. With this song, Himesh re-proves again that he is the modern undisputed baadshah of Sufi Rwak genre, n that none can beat him in it (forget about even getting close to him). The song takes the listener to a different place n a different world, somewhere in the dark dungeons and caves, but where there is still an optimistic trail n glimpse of light in terms of their hope for their love and to keep it intact. When Himesh decides to choose an Iconic word ‘Suroor’ in his song, there are mammoth expectations. This song lives up to those expectations in its own way. When Honey Singh's first song became hit, Himesh called him up in Punjab to congratulate him. He was always keen to work with Honey Singh, whose best work in a Himesh song is in 2nd stanza gap of this song. This song takes the listener places, whereby they imagine themselves walking away on a lone path near an uninhibited place at dusk/sunset in search for the true meaning and definition of this thing called love. It has creative imaginative fantasy world lyrics. Ankit sings wholeheartedly with sincere and earnst vocals. Bhaut doob ke gaaya hai. The reprise version takes the listener into a zone of ‘peace and sukoon’ and a world of ‘solace’. Himesh shows his classical side and re-proves that his tunes are simplified versions of complex raga, just that this one is more pure in its true sense. It is a song that would be lapped instantly by purists and those who like unadulterated form. It is an easy going feel-go-lucky song. It is a song that one doesn’t mind listening to and humming along with. It is a chillax song as proceedings take a chill pill. The song has a very feel good vibe. It is actually a song tailor made for vintage Kumar Sanu's vocals. Nobody could have sung it better than Kumar Sanu and this song would have sounded the best possible in his voice. It is a simple melody with simple arrangement and limited instruments sung with a free flowing pattern and sung with heartfelt vocals. It has a ‘ghazal’ touch due to lyrics, arrangement and mode of singing. It belongs to the zone of ‘slow soulful’ songs like Tere Bina from AKS – The Moviee. The singing style makes it fairly evident that this song was inspired from another Bollywood song. If perhaps Mohd Irfan had sung this song with his own style, rather than emulating another singer’s style, then this song could not have been that evidently relatable to another song, but have its totally own identity despite the usage of laidback beat and piano. But the makers wanted to go for and emulate a trend that has worked big time wonders in recent past. Actually, this song could have suited also in Pankaj Udhas's voice, laidback ballad se poora ghazal ban jata n would have added more sukoon n thehraav. Nobody could have sung it better than Pankaj Udhas and this song would have sounded the best possible in his voice. Song has déjà vu feel to it of the 60’s kabeela style music and retro prom nite flavor. It is representative to the vintage 60’s era in terms of tune, arrangement and singing style. Best part of song is Palak’s mukhda line with Himesh’s off-da-hook energetic croons HAAH HAAH which gives kick and the song rolls on in full steam. It requires repeat hears to grow upon the listener and for the listener to get into its zone. It’s a full on racy rhythmic track with an ensemble of singers. Serves the purpose of being a situational massy theme trax. The underlying beat pattern and the hook line TAN TAN TAN make it fairly evident that this song was inspired from another Bollywood song. P:S: = Two songs i.e. Dard Dilon Ke was tailor made for Pankaj Udhas and Hai Apna Dil Toh Awara was tailor made for Kumar Sanu. Both songs could have had 2nd versions in their voices. 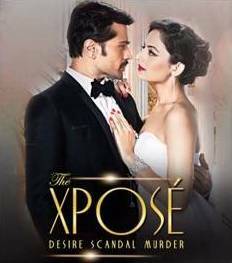 P.S = Theme Of Xpose and Xpose Mashup are not ranked because they don’t fit into any suitable category. Himesh has composed well structured free flowing composition patterns in Sheeshe Ka Samundar, Suroor and Hai Apna Dil, and quick composition pattern in mukhdas of Ice Cream Khaungi and Catch Me If You Can, to keep things peppy and upbeat mood. In terms of sensibilities, Himesh – the composer has played it safe to an extent by having two massy songs (Ice Cream Khaungi and Catch Me If You Can) which are backed up by good ammo of remixes. Then he has opted for classy songs as well with two ghazal based songs (Sheeshe Ka Samundar and Dard Dilon Ke). Recently, Himesh mentioned that he will be giving a ‘Ghazal’ song in one of his upcoming big films, was it one of these! He has also thrown an innovation in reprise versions which are given offbeat treatment (Hai Apna Dil Blues Mix and Desi Mix). He has given equal importance to the remix and reprise versions to make it a complete fully loaded diverse album. Basically in this album, you can hear a very market aware Himesh who is aloof and abreast with current trends and sounds that worked in recent past. The biggest treat though is the Sufi Rwak number Suroor that brings back old memories. Again, Himesh knows that this is the tried tested route n formula for success based on past and thrown this song into the mix, knowing that such a song would instantly konnekt with his fan base. His catchiest melody in the album is in Suroor, whose melody is like a ‘slow dose n pill’ that keeps on getting heavier upon the listener, and Sheeshe Ka Samundar (especially the soulful alaap in between 2nd stanza gap) where he shows his classy potential again. > In half of the songs, Himesh has kept laidback orchestration and slow tempo, something he did in few songs of Radio and Damadamm. There are inferences from classy songs of Radio, Damadamm and Kajraare. > Great use of Middle Eastern instruments and tune pieces in SUROOR to give that Sufiana Favour. > In terms of layering, Himesh has used underlying Piano key interludes in SHEESHE KA SAMUNDAR, SUROOR and HAI APNA DIL for enhanced scale impact. > Grand ‘band baaja baaraat’ fan fare trumpets in CATCH ME IF YOU CAN and ICE CREAM KHAUNGI. The biggest plus with orchestration is that the song’s take the listener to places i.e. Hai Apna Dil takes down memory lane in late nite grand opera setting, Suroor takes somewhere in the dark dungeons and caves, Ice Cream takes to the retro prom nite party, Sheeshe Ka Samundar takes somewhere walking away on a lone path near an uninhibited place at dusk/sunset and its reprise takes to a calm quiet outer world space where there is solace. > Himesh – The Sufi Rwak singer’s sharp knife edge vocals in SUROOR will be welcomed and embraced wholeheartedly after such a hiatus. He bowls over the listener. > Himesh shows another singing facet in HAI APNA DIL, with pleasant subtle feel good vocals that are likely to make an impression upon his haters of nazal high pitch voice. > Himesh’s off-da-hook catchy repetitive echo lines in stanza lines strike a chord in SUROOR REMIX. > Shalmali woos the listener with her infectious voice in SUROOR, what a find! She should be heard more in Sufi Rwak duets with Himesh in future. > Ankit Tiwary excels with his heartfelt desperation plea vocals in SHEESHE KA SAMUNDAR, with off-da-hook catchy killer soulful alaap whereby he pours out his heart. What a second song to get in only his second outing, that would make him win allocates early on. > Honey Singh is effective in his portions and adds the required zing. He sure cannot be ignored in the songs that he features in. > Creative imaginative fantasy world lyrics like Shaashe Ka Samundar Paani Ke Deeware, Sone Ke Hai Hai Baadal Patharon Ki Hai Baarish, Dhoop Ki Hawaein Kaante Ke Bageeche, in SHEESHE KA SAMUNDAR. > Lyrics that konnekt like Veeraniyon Se Mujhko Nikaala, Saaye Se Teri Lipta Hu Main in SUROOR. A couple of songs are inspired by other Bollywood songs. While it is fine to get inspired by sounds and genres that have done exceedingly well in the recent past, one shouldn’t make it very evident, noticeable and blatant in terms of underlying beats, instruments and singing style that can straight away give pointers to the original songs and draw unwanted comparisons. Furthermore, one would expect that Himesh – the composer is the ‘trendsetter’ and that other composers would seek inspiration from his songs (and not vice versa n other way around). For a stature of the Numero Uno composer who has 500 songs behind his belt and holds a proud originality record of > 95%, this shouldn’t suit him and he should avoid and refrain from doing such in the future. Especially so, when he is fully capable of giving songs like Suroor and Sheesha Ka Samundar in the same album. The album has two massy numbers in the form of Ice cream Khaungi and Catch Me If You Can. The remaining songs are classy and slow paced. However, the massy originals have good solid dosage of backup in the form of power packed remixes that will find ample airtime in clubs, most notably Sheeshe Ka Samundar Remix, Suroor Remix and Suroor Arabian Mix which are three best of the lot. The album packs a wide assortment of genres, also courtesy due to the different and diverse treatment given to the various remixes and reprises which add on to the variety. In terms of original versions, the picks are Suroor, Sheeshe Ka Samundar and Hai Apna Dil. Suroor is the best of enterprise, followed by Sheeshe Ka Samundar (both versions) and Hai Apna Dil. In terms of remixes, the picks are Suroor Arabic Mix, Sheeshe Ka Samundar Remix and Suroor Remix with all three being equally par and Rwak in their own ways. Rather than the instant way, the songs require few repeat hears for the listener to get into their zone and get hooked on. The album does have the firepower and ammunition to make enough impact in terms of making the film noticeable, create its promotional awareness and make it an eye candy in front of the audience, so it succeeds in that aspect. Suroor and Sheeshe Ka Samundar have it in them to be remembered in the coming time and basically withstand the test of time.